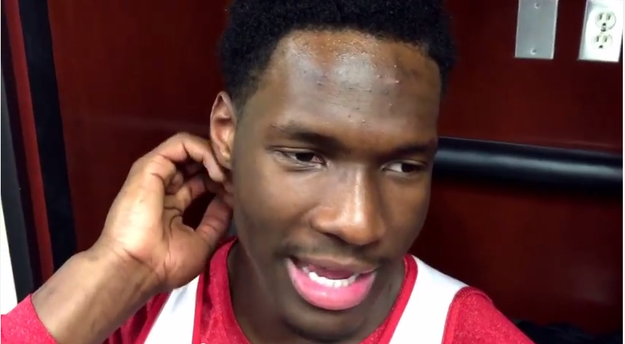 College Basketball Player Thought His Mic Was Off When He Called A Woman "Beautiful"
Warning: Every mic is a hot mic. This is No. 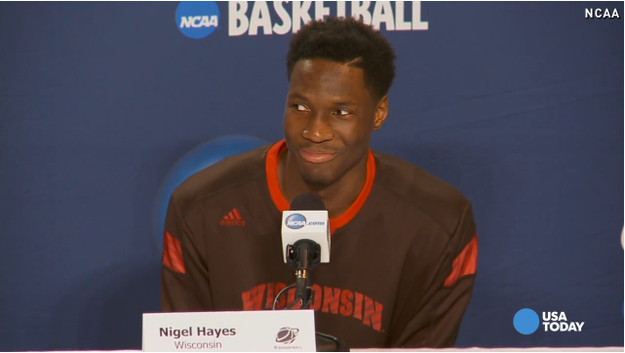 1-ranked University of Wisconsin Badgers basketball player Nigel Hayes. 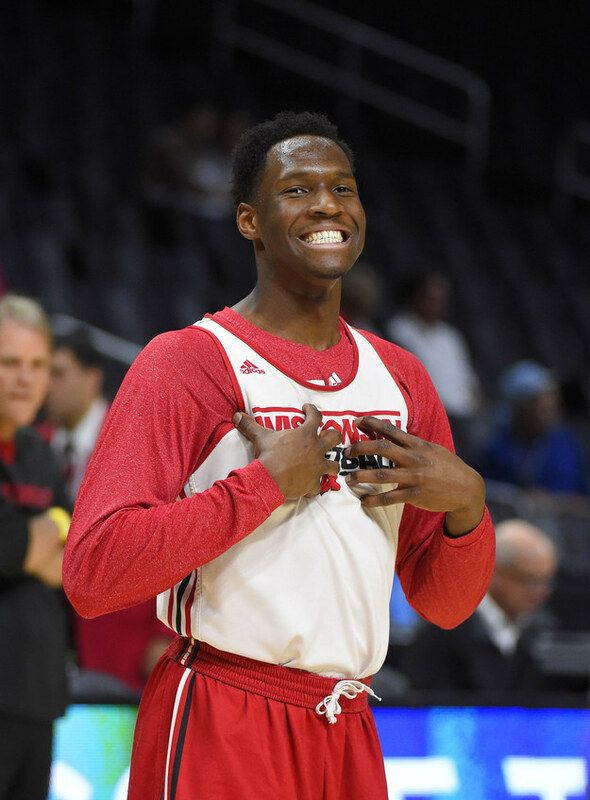 His team is competing in the NCAA Tournament, and the second-year forward has given some ~rather entertaining~ press conferences lately. Hayes is fascinated by stenographers. Last week, during a pre-game press conference, Hayes tested the stenographer’s skills by rattling off a random list of wonky words. 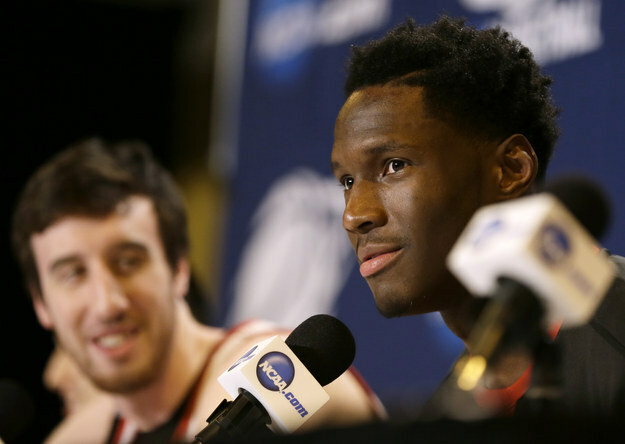 But yesterday, the basketball player said a few words that weren’t intended for the public. He thought his mic was off. It was not. This was his very understandable reaction. “Did you hear that?” he asked. 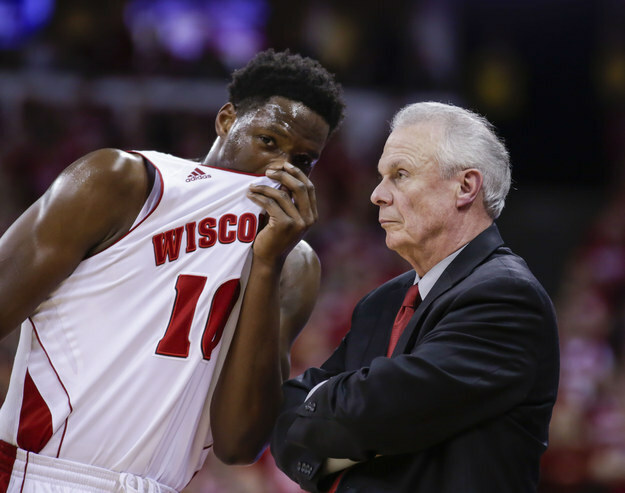 Hayes and the rest of the University of Wisconsin Badgers face the No. 4-ranked North Carolina Tar Heels tonight in the Sweet Sixteen round of the NCAA March Madness tournament. Fingers crossed for more stenographer bloopers.